Artist David Nuñez tested lighting on his installation “Requiem for Rhinoceros” at the MIT media lab in Cambridge on Sunday. Whatever you do, don’t call it North by Northeast. 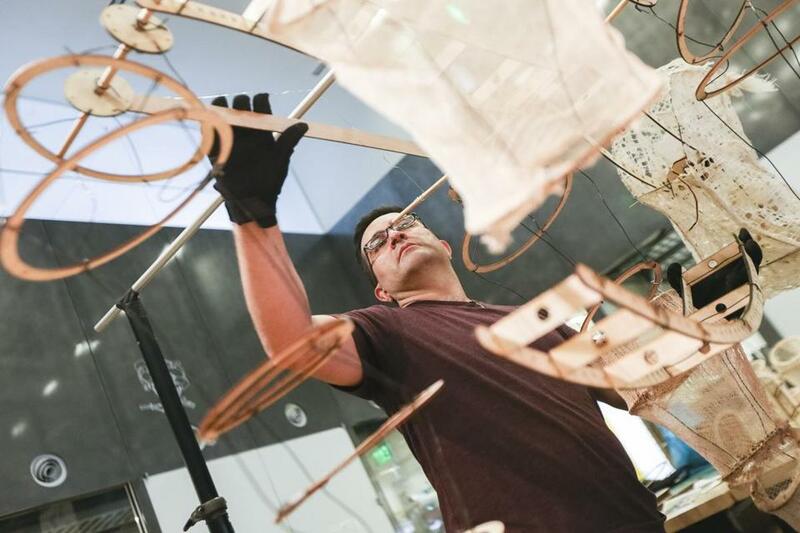 With the launch this weekend of HUBweek — the weeklong festival intended to showcase the region’s dominance in science, art, and technology — organizers promise to transform Boston and its environs into a sprawling laboratory. A sample of the offerings: free sessions in stress management and cancer research; drone demonstrations; and a multisensory nighttime art festival where the Green Monster is transmogrified into a three-story percussion instrument. The event may resemble South by Southwest — the annual gathering in Austin, Texas, that began in 1987 — but HUBweek will be very much about Boston, and all the area has to offer. On Sunday, Faneuil Hall will serve as a philosophical forum, where Harvard’s Michael Sandel, dubbed a “rockstar moralist” by Newsweek, will lead a discussion with high-profile panelists on citizenship in the modern era. (The event was moved from Fenway Park amid predictions of bad weather.) Later in the week, Converse will open its new Rubber Tracks Studio facility so aspiring musicians can create new samples. Harvard will hold a seminar on privacy in the age of big data. But the real experiment will be HUBweek itself, a newcomer that must compete in the increasingly crowded field of international, multidisciplinary festivals. That field includes titans like Austin’s South by Southwest and the seemingly ubiquitous TED conferences, but also the Aspen Ideas Festival, the World Economic Forum in Davos, Switzerland, and any number of international art fairs — economic drivers that not only attract highly skilled professionals, but also burnish the reputation of their host cities as hotbeds of creativity and innovation. HUBweek, scheduled to run Saturday to Saturday, Oct. 3-10, is a nonprofit venture founded by MIT, Harvard University, MGH, and The Boston Globe. Organizers say they hope not only to encourage cross-disciplinary exchanges among professionals, researchers, and institutions — but also to raise awareness of the cutting-edge research that’s taking place in the Boston region. Unlike similar conclaves, which often boast rosters of imported talent, HUBweek’s focus in its first year is on area institutions, with scores of other businesses and nonprofits collaborating to host events. Whereas attendees at other festivals often must buy passes for access to events and networking opportunities, most of HUBweek’s festivities are free and open to the public. That certainly tracks with the evolution of South by Southwest, which began modestly as a music festival nearly 30 years ago, but later evolved into a three-pronged event that also features film and interactive media programs. 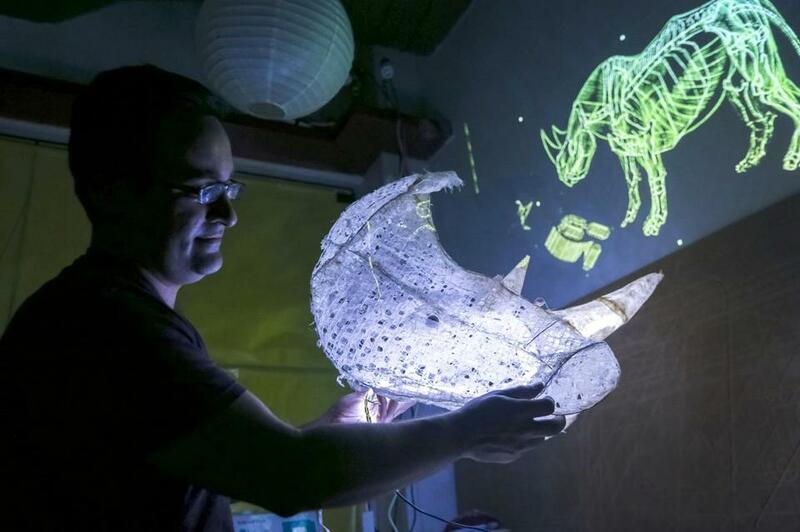 David Nuñez made adjustments on his “Requiem for Rhinoceros” installation at the MIT media lab. The work commemorates the last of the nearly extinct Northern white rhinos. Forrest added that South by Southwest recently released an in-house study showing that the festival’s economic impact for 2015 equaled $317 million. “That’s a great figure, it sounds great, but again, that’s 30 years in the making,” said Forrest, who added that South by Southwest had “many fumbles” in its early years. “We still have plenty of fumbles, but I also think that the overall perspective on these things is significantly different in 2015 than it was in 1987. You could get away with much lower production values in 1987. In 2015 people are expecting that you’re going to go to a TED Talk,” Forrest said. 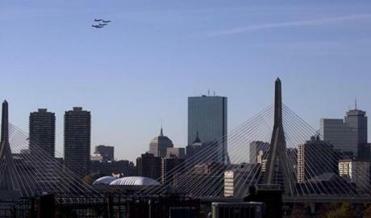 HUBweek organizers declined to disclose the festival’s budget. But they added that with its broad emphasis on arts, science, and technology, the event has not only room to grow, but is also poised to transform swiftly in coming years. Organizers added that they hope some 40,000 people will attend a HUBweek event this year, which include the five-day GlobeDocs Film Festival; an open-lab event at Kendall Square; a conversation at Harvard with Michael Lynton, chief executive of Sony Entertainment; and discussions at MGH on the opioid crisis. Still, Ryan said that this first year, while ambitious, is sure to have some kinks and will likely be significantly different going forward. Correction: An earlier version of a photo caption in this story misspelled David Nuñez’s name.